America’s First and Real “Yes We Can” – Mark Loves History! 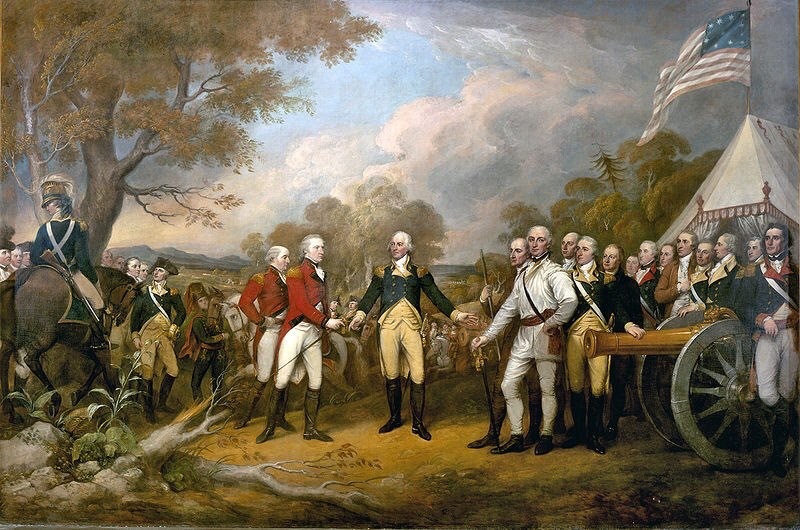 Surrender of British Army at the Battle of Saratoga. British Gen. John Burgoyne was leading an army of 8,000 British regulars south from Canada to meet up and combine forces with Gen. Sir William Howe on the Hudson River. His army clashed with the American army several times, and finally had to take refuge in the village of Saratoga, NY. With about 5,000 of his troops left, surrounded by nearly 20,000 American troops, he had no choice but to surrender the largest British force to that date to the “Colonials”. The battle showed the world that the Americans could defeat the British in combat, which gave France and Spain the confidence to enter the war and provide supplies, soldiers and naval support to the Americans. Their support was instrumental in winning the war, thus Saratoga is seen as a turning point in the Revolution.